However, where does this leave private residents and business owners dealing with pavements and driveways? Is it better to clear snow and ice or not clear it and risk someone slipping over? The debate over whether it’s better to grit or not to grit continues. Here is some advice on what you can do when dealing with public pavements and paths, access roads, driveways and private car parks. There are some misconceptions surrounding the clearance of snow. 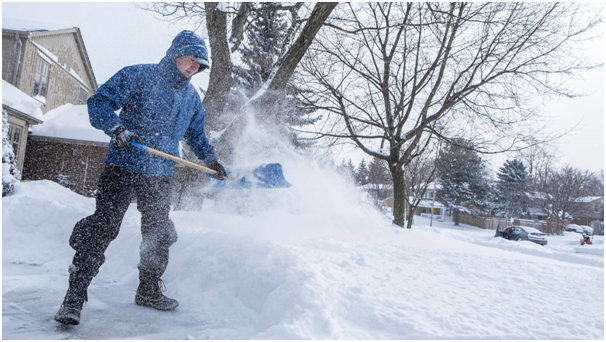 Some have advised that snow clearance should stop at the boundary of your property or business. There is confusion over whether it’s better to leave a slippery pavement, so you won’t get sued, whereas if you grit a public pavement and someone still falls, they can find you liable. In truth, there are no laws or regulations stating you can’t clear ice or snow from a pavement. It is an offence to push it onto the road or another pavement. It all boils down to reasonable duty of care arguments. Clearing ice and snow effectively is safer than doing nothing, so in reality you are unlikely to be sued or held responsible if someone slips and injures themselves. The top layer of loose snow should be cleared first thing in the morning so that ice below can be melted by any sunshine. Salt should be laid over the path overnight to stop it from re-freezing. Water should not be used to clear away snow as it can cause dangerous black ice. A tablespoon of grit salt for each square metre is recommended and this is effective up to -10 degrees C. Be sure of your measurements as too much salt can be hazardous. Ash or sand can also be used, although they won’t work as well, they sometimes provide better grip. Avoid blocking drains with snow piles. Clear a path down the centre and push the snow to the sides, paying special attention to slopes and steps. Carry out these activities for anyone with disabilities, health problems, the elderly and those with limited mobility. The law for businesses is clear. Under the Occupiers Liability Act of 1957, an owner or occupier of private land must ensure safe access to visitors and staff members. 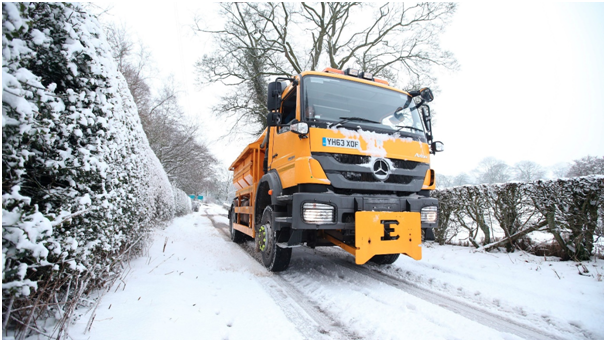 Gritters can be hired to do this for you, but if you carry out your own, you might wish to give staff proper snow clearing training. There are some necessities too, including high-visibility vests and warm clothing. Other regulations cover the interior of a workplace too. The Health and Safety at Work of 1999 and Health Safety and Welfare, The Workplace of 1992 (regulation 12) state that interior floors must not be slippery, as can often happen when people walk in with wet shoes.